Before lighting that first fire of the season, check that your fireplace and Chimney are working properly! Look for any cracks, gaps, or signs of wear in the lining of the firebox (the interior of the fireplace). If the lining has deteriorated to the point that the steel body beneath it is visible, you’ll need to have it professionally repaired. 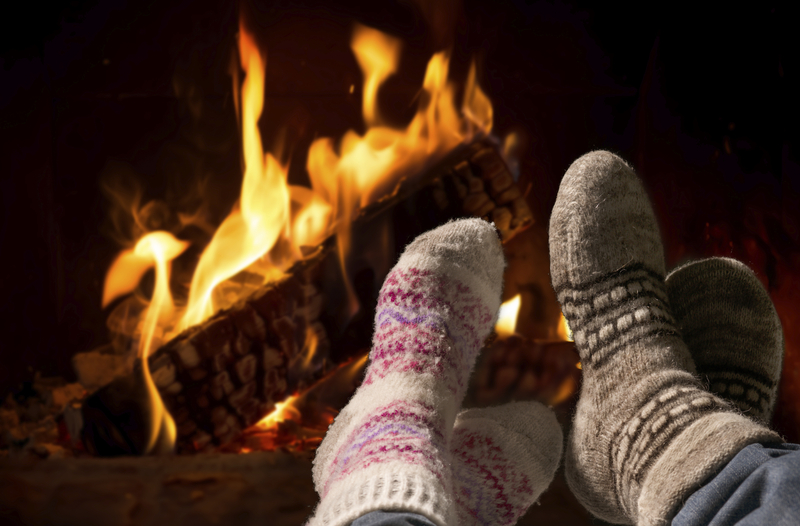 Otherwise, excessive heat can build up inside your fireplace and cause permanent damage, says Tom Spalding of the Chimney Safety Institute of America (CSIA). Smoke stains can be another signal that your fireplace isn’t functioning properly. If you see stains on the ceiling, smoke could be escaping from a gap between the hearth and the firebox, warns Spalding. This is most likely because the hearth has settled — not an unusual occurrence in an older home. When this settling occurs, sparks that fall into the gap can send up smoke, “essentially acting as a secondary chimney,” Spalding says. You’ll need a mason, skilled handyman, or fireplace professional to fix this. You may also notice smoke stains above the fireplace opening. In this case, the problem may be the flue damper, a mechanism with a hand-operated lever that helps you control the air flow into the fireplace. If the lever is damaged or caked with gunk, you may not be able to open or close the damper completely, which can cause smoke to leak out of the fireplace. Again, a professional can determine if the mechanism can be fixed or if it needs replacing. Is the Grate Too Large? When it comes to your fireplace grate, bigger isn’t necessarily better. According to the CSIA, a metal grate used to hold burning firewood should be no more than two-thirds the size of your fireplace opening. An oversized grate may tempt you to pile on too much wood, and the resulting flames can dangerously overheat your fireplace. If your grate is too large, replace it with a smaller one that’s more appropriate for your needs. Once the fireplace and chimney in your new home are in tiptop shape, you’re almost ready to build your first crackling fire. Before you do, remember a couple of safety tips: Always know where your fire extinguisher is, and make sure it’s fully charged and ready to use (the CSIA recommends a 5-pound model with a flexible hose). Remember to always open the flue before you start a fire. Close it when not in use to save energy. Finally, make sure you’ve stocked up on enough seasoned firewood to enjoy your new fireplace whenever the mood strikes.